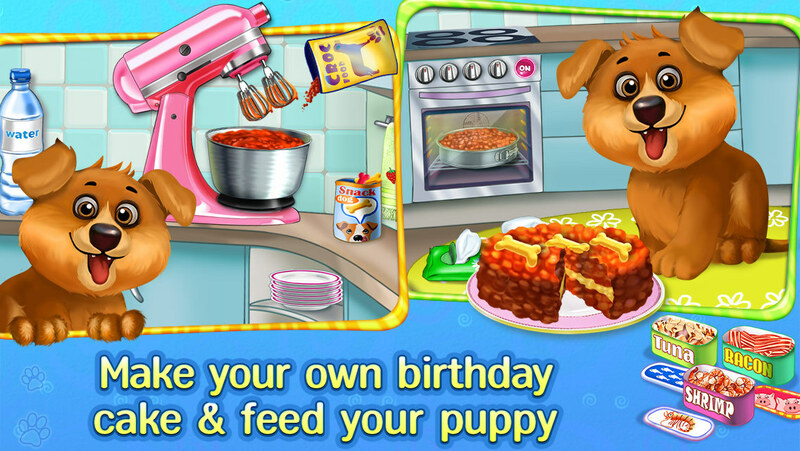 ~> Plan your puppy’s birthday! Care, dress up, open gifts - lots to do! ~> Arts & Craft activities Inside! 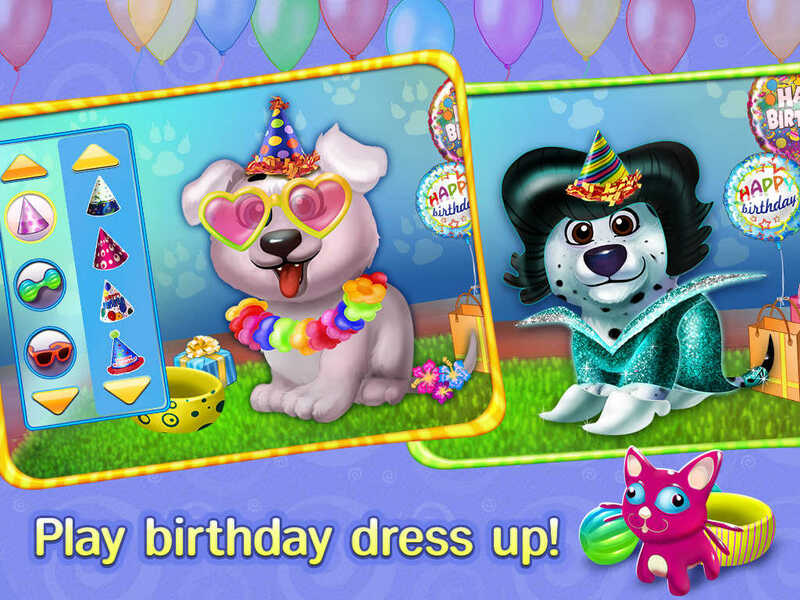 Paint B’Day banners, make paper doll puppy decorations, loads of fun! ~> This Party has it All! Play host for all your puppy’s friends, and make it special for your top dog! 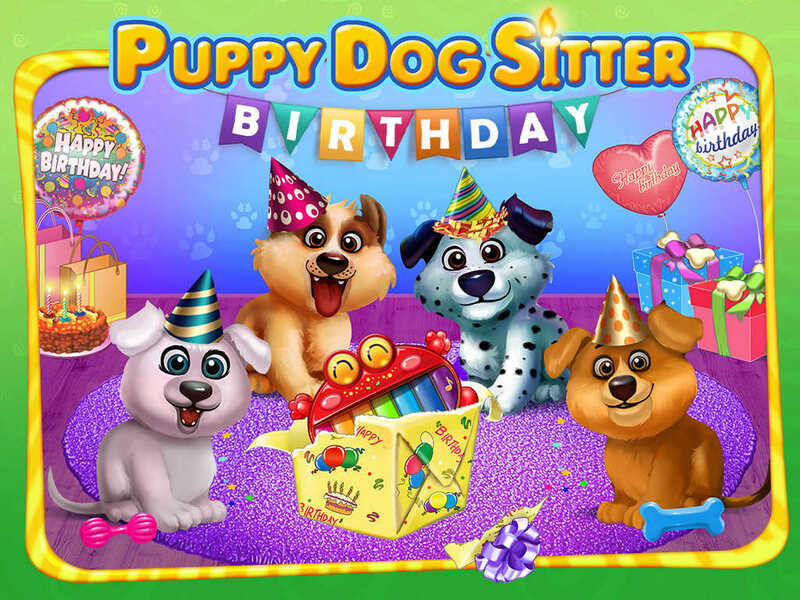 The puppies you’ll learn to love are here, and they can’t wait to celebrate their birthday! 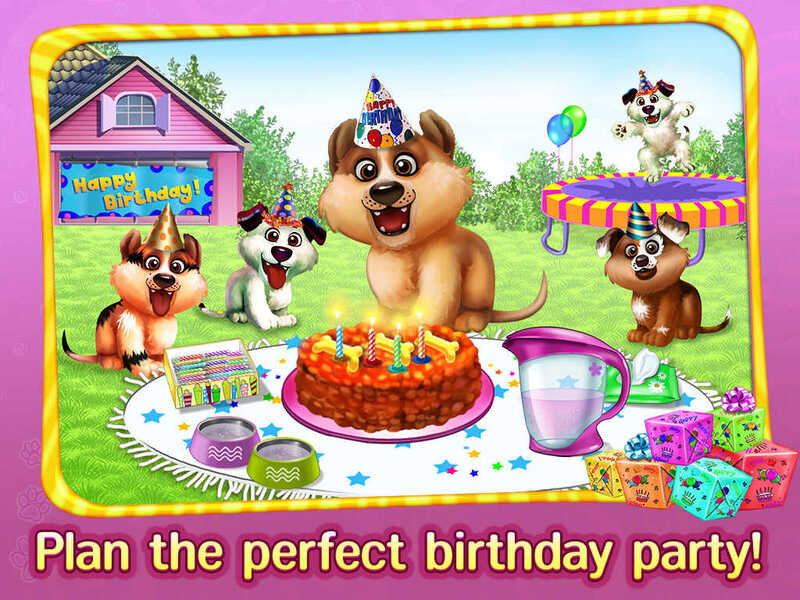 A great party needs puppy birthday planner! So hop on and help us create the best kind of birthday a puppy can dream of! If only puppies could talk they’d tell you how much they’re waiting for the party you’re planning! 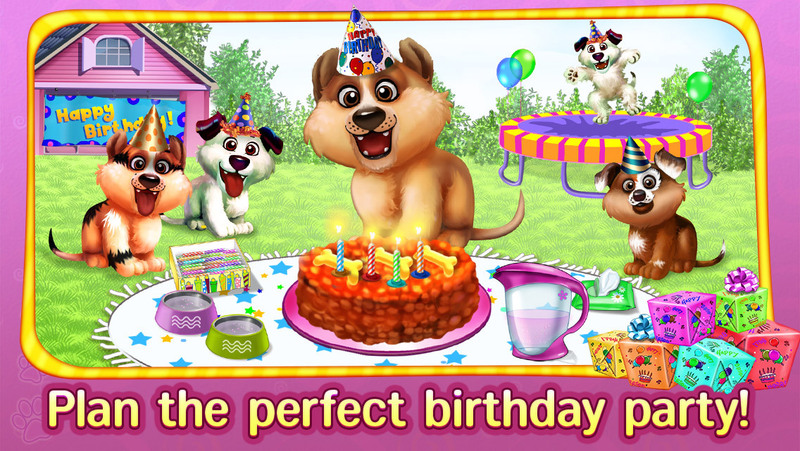 Your puppy’s birthday bash is beginning soon but its gone and made itself dirty again! Give it a bath with lots of shampoo, rub lots, and make your doggy as clean as you can in preparation for its party! Puppies can dress up too! 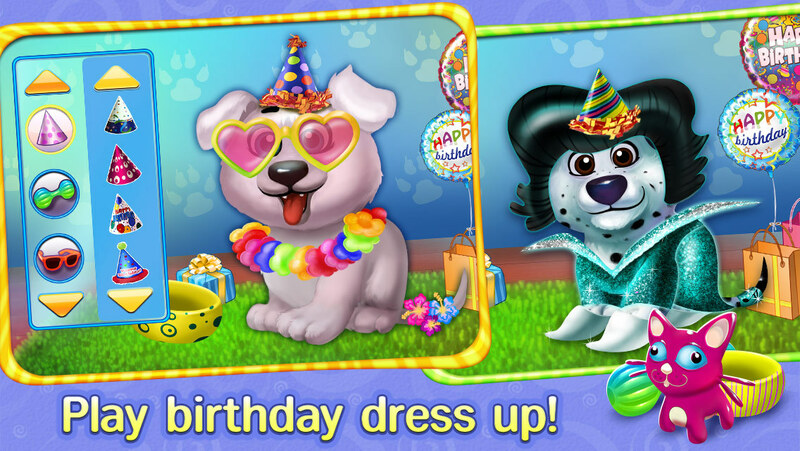 Pick your puppy and dress her up with dozens of adorable combinations and fun items including cool glasses, dragon tails, and flower heads that you can mix and match to your heart’s content. Today is a special day for your doggy so make the best kind of dog treat possible by combining different flavors of dog food and special toppings like bacon or tuna! Remember to clean doggy’s face and have some water ready to quench its thirst! 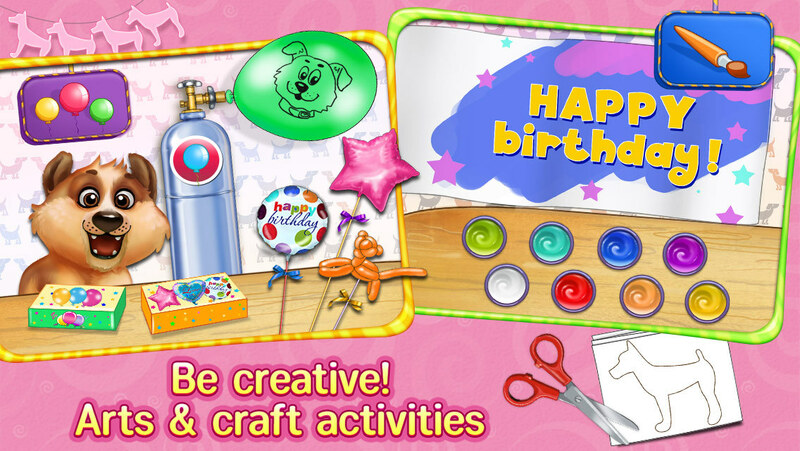 > Balloons: Blow up colorful balloons to decorate the party. Choose from animals, helium balloons and more. > Paint B-Day Banners: Paint an awesome decoration for the party! Totally creative and you don’t have to get your fingers dirty! Everyone can see your art at the birthday party! > Paper Dolls: Make dog-themed paper doll chains to decorate the party. Decorating is so much fun! The birthday party wouldn’t be complete without presents!Your canine buddies all brought awesome presents that can’t wait to be opened. 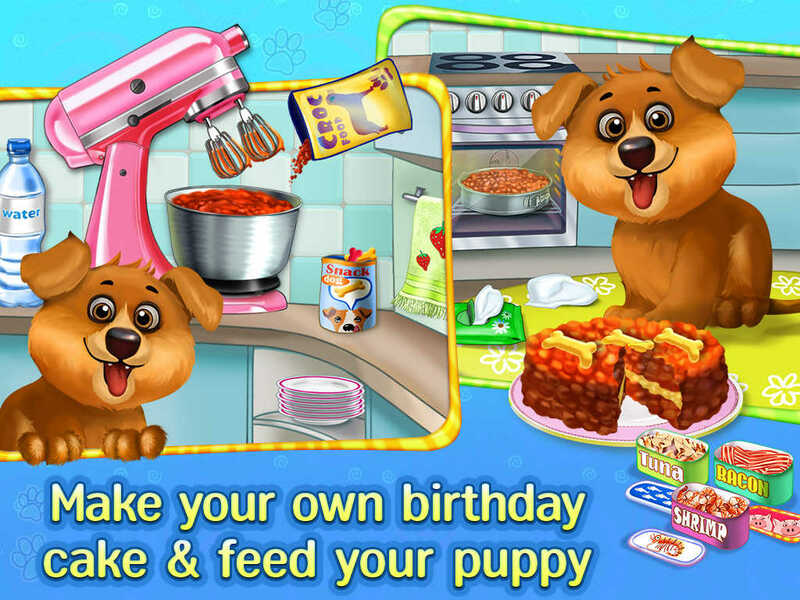 > Make the best kind of meal for your puppy, create the best combo of dog food and toppings like shrimp or bacon! > Puppies are crafty, let them go wild with paw-painting, cutting out paper dolls and other things! You can play alongside them too! > Don’t forget to entertain your guests with the awesome trampoline! 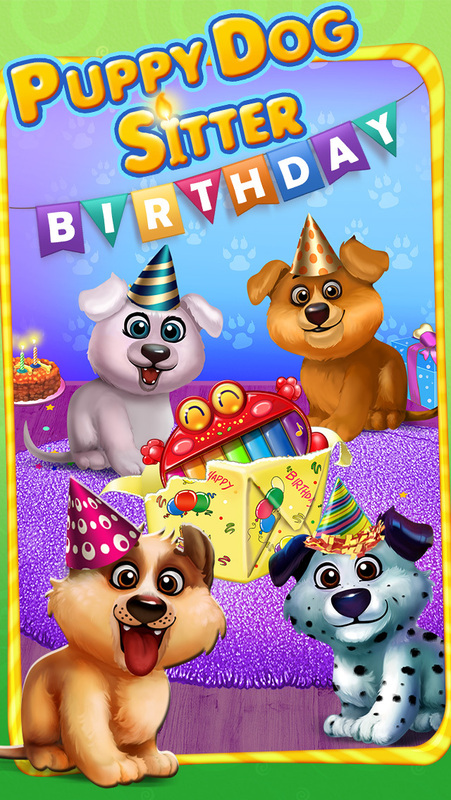 > Open cool presents and make your birthday pup extra special. > 50 dress up costumes including tutus, fish fins, and more!